Two years since opening, Flamingo House remains arguably the most elaborately flamboyant establishment, let alone restaurant, you’re likely to have the pleasure of experiencing. And now – with a new Head Chef and menu in tow – their food might just have acquired the personality to match. Since its launch the three-storey property on Horton Place has primarily been known for its vibrant and psychedelic theme – a canvass of colours, hand-painted murals, antique artefacts, religious imagery; really, a hodgepodge of thematic elements, that incredibly enough work together – not to mention a stream of really quite good music, to go with delicious cocktails, that can be experienced either at the main restaurant, the Love Bar above, or their third floor Attic lounge space. All of which meant that patrons were ready to overlook the somewhat inconsistent nature of the food. 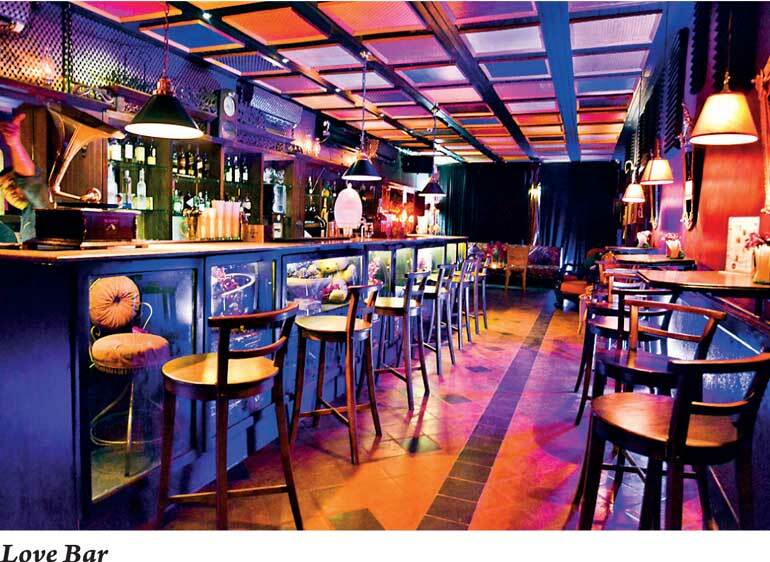 However, if the planning and attention to detail that had gone into the interior decor – which is as wild and vibrant as ever – was anything to go by, it should come as little surprise that the powers that be would not let the below optimum dining experience go unchecked. No less than 22 items are present on a newly-curated menu, which has foregone its earlier extensive commentary in favour of a more streamlined take. Dishes are prescribed simple titles with the incorporation of only a few key ingredients alluding to the culinary journey ahead – the nuances of the dish left for the discerning diner to decipher on their own. 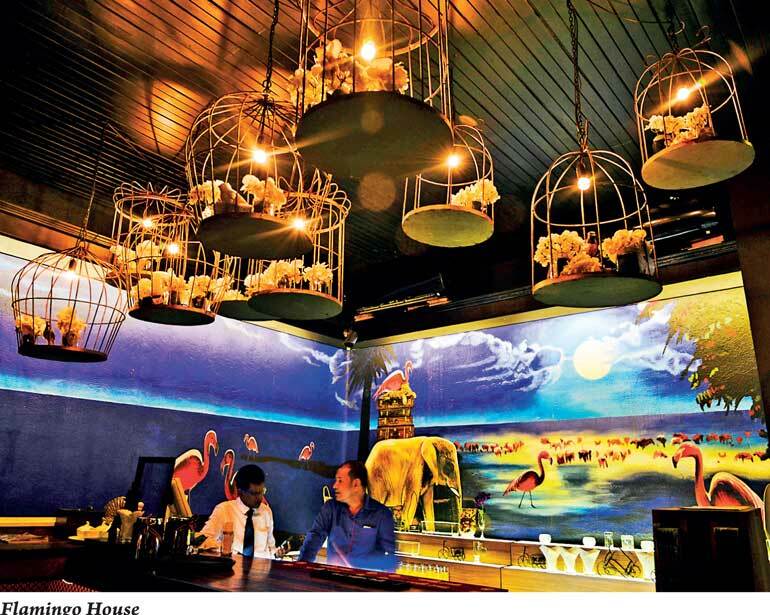 In changing up the menu, Flamingo House has also reformed the way in which it goes about sourcing its ingredients. While new Executive Chef Mark Smith’s menu is influenced by his various experiences with Mediterranean, North African, Italian, and Pan Asian cuisines, the ingredients used veer closer to home. It’s suffice to say that that combination of local produce and international inspiration, if it stays the course, is set to be an unqualified success as from our brief experience of it, we were for the most part simply blown away. There’s a reason why the lamb retained its place while the rest of its imported brethren were supplanted; simply put, it works. Especially when paired with a delightful yoghurt dressing, that evokes thoughts of the Middle East. Cooked to perfection, we simply couldn’t get enough. The prawns meanwhile went toe-to-toe with the lamb for top spot on our list. While the use of squid ink made the dish the most visually compelling, the most inspired decision was probably the one to go with a paella-style risotto instead of a plain rice, as the strong Mediterranean flavours positively envelope your taste buds. For the vegetarians out there there’s good news as well. With the Pumpkin Ravioli – an outstanding blend of smooth pureed pumpkin and brown-buttered ravioli, drizzled with parmesan – and Potato Gnocchi – a simple dish that belies its complex flavours; made of just tomato, chilli, basil and feta, the kick of spice after each bite is truly gratifying – standing out as some of the best vegetarian dishes this writer has eaten in recent times. On the sweet side, meanwhile, there was hardly anything to choose from between any of those that we tried, however the Hot Chocolate Pudding deserves a special note of mention for simply the fact that we loved it despite not trying the intended version of the dish. Meant to be served with spice chocolate whiskey sauce and honeycomb ice-cream, for fear of melting Chef Mark served the dish sans ice-cream to the gathered media personnel. However even in that state it was exquisite and we can’t wait to go back and try Chef Mark’s honeycomb and various other homemade ice-creams. Matching international influences with local produce, Flamingo House is finally looking set to build on the promise its provocative veneer had long promised. 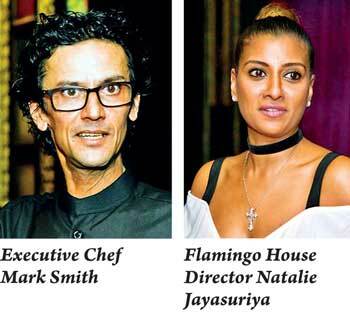 Chef Mark Smith, a Sri Lankan with some 22 years of experience in fine dining across the world, has meshed Sri Lankans’ love of spice with globally tried and tested to flavours to create dishes that are bold, yet familiar. The prices too aren’t that heavy on the wallet, albeit the ones on the menu being subject to Government taxes and service charge. An evening out is likely to set you back around Rs. 3,000 per person, which for the quality of food on offer is pretty decent value in Colombo. Flamingo House is open for dinner seven days a week from 6 p.m.-11 p.m., and for lunch Tuesday through Sunday from 11 a.m.-3 p.m.